Today, Charleston welcomes nearly twenty-five thousand visitors a year. Co-authored with her father Quentin Bell, Virginia Nicholson’s first book is a true insider’s view of a family home. Alen MacWeeney’s delectable colour photographs breathe life into the colourful interiors and garden of the Sussex farmhouse occupied by artists Vanessa Bell, Duncan Grant and their family and friends. Set in the heart of the Sussex Downs, Charleston is the most important remaining example of Bloomsbury decorative style. In Charleston – A Bloomsbury House and Garden, the story of this unique house is told by father and daughter, who link it with some of the leading cultural figures who were invited there, including Vanessa Bell's sister Virginia Woolf, the writer Lytton Strachey, the economist Maynard Keynes and the art critic Roger Fry. Specially commissioned photographs conjure up the living house and the decorations, paintings and colourful ephemera which crowd its rooms, while pictures from Vanessa’s family album convey the flavour of the household in its heyday. 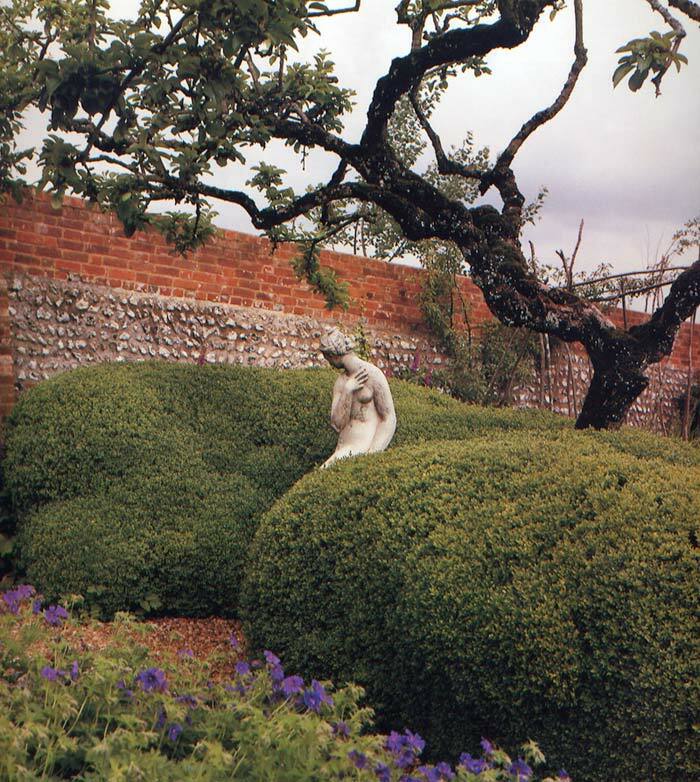 I am available to promote Charleston – A Bloomsbury House and Garden through appearances, interviews and articles. 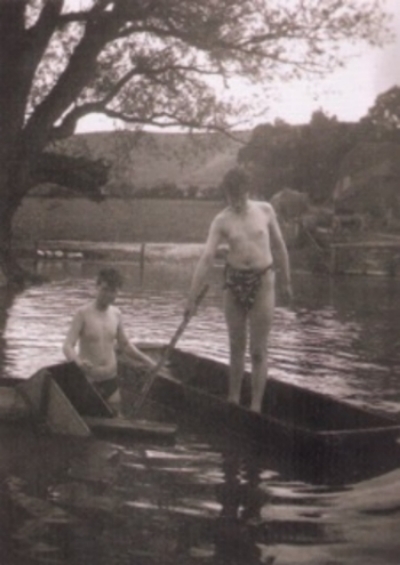 Maynard Keynes, who sometimes provided fireworks to be let off after dinner, was present at Quentin Bell’s fifteenth birthday party in 1925, as was Lydia (they were newly married). 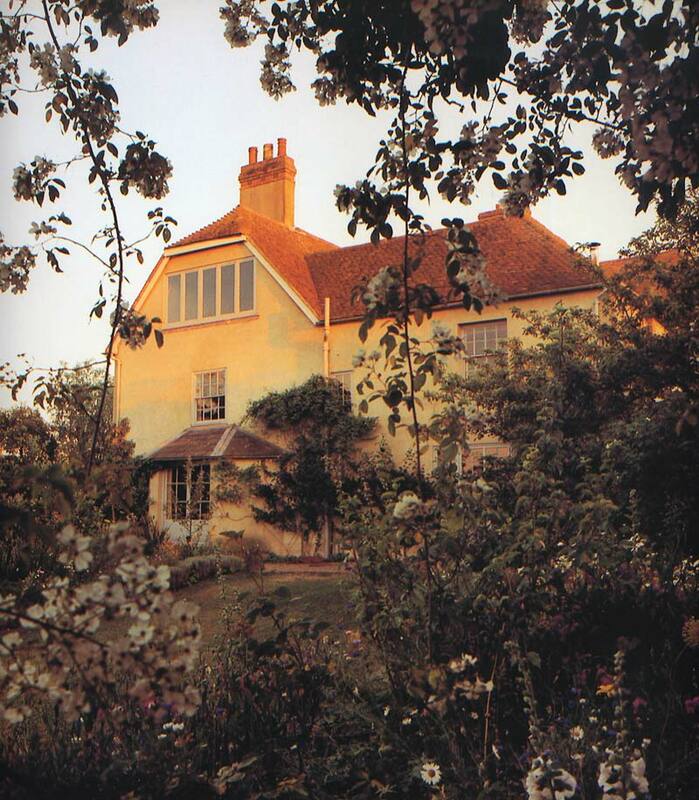 Leonard and Virginia Woolf were there, and so were Duncan, Vanessa, Julian and Clive. Quentin Bell recalls the occasion: ‘Although the room could be illuminated by lamps I think that we had candles that evening. A good deal of Trinity Audit beer had been consumed and the party had just about reached that stage at which Maynard would oblige with a song of the ‘Vive la Compagnie’ description, when Virginia intervened. She was on form and was brilliantly amusing. There was laughter and applause and then, suddenly, she seemed to be changing her mind, rising, making as if to move from her place. Then the two people who knew her best, Vanessa and Leonard, were up on their feet, racing for the door and arriving just in time to catch her as she collapsed. She was green as a duck’s egg. 'It was the beginning of six months’ ill-health brought on by overwork and a plethora of social engagements, and the clamour and merriment of that birthday party proved more than her constitution could bear. Quoting her aunt, Angelica Garnett - who described Charleston as “an earthly Paradise” – Virginia Nicholson also revives her own childhood impressions of the walled garden. The Memoir Club, Vanessa Bell, 1942 – a group portrait of the Bloomsbury Group. Charleston, the north front of the house. 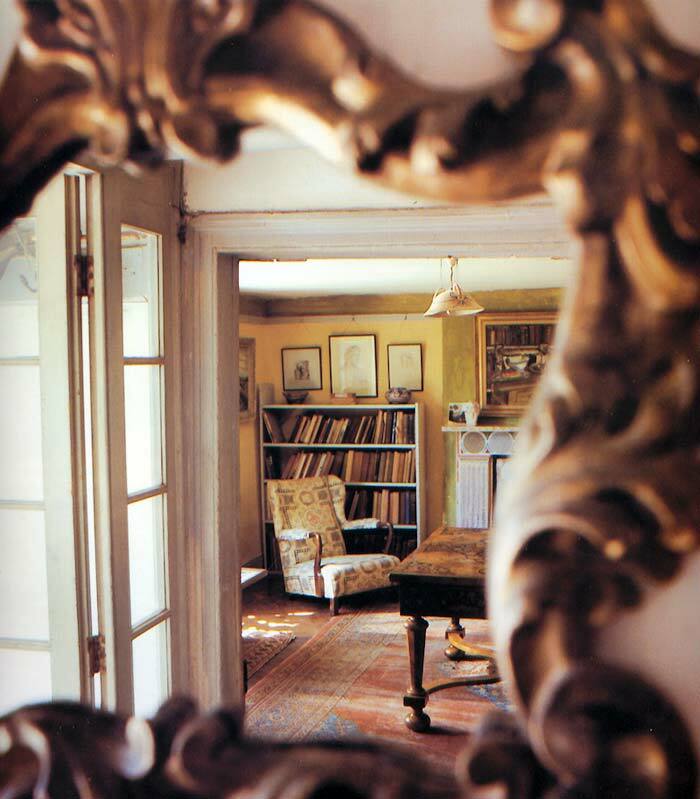 The nineteenth-century Italian gilt mirror in the hall reflects a view of Clive Bell's study through the open door. 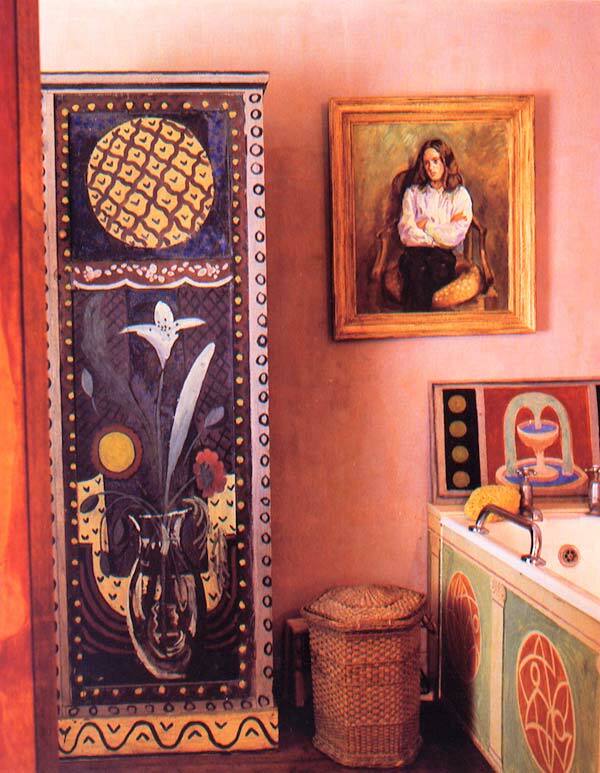 Vanessa Bell's bedroom, with the bath in the corner. Duncan Grant's bedroom, with an east view over the pond. The Garden. The statue is a cast of a Giovanni da Bologna. The Garden. 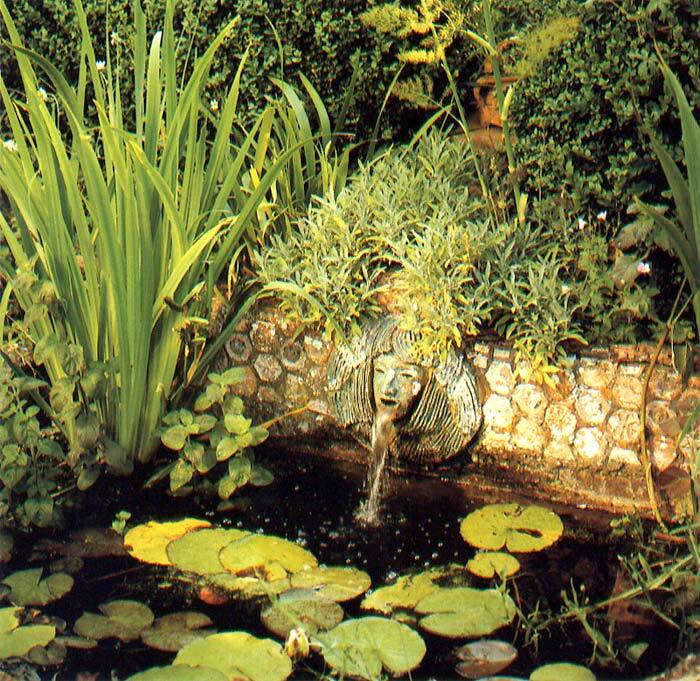 The semi-circular pool and its spouting head were both made by Quentin Bell. “An absolute must for lovers of Bloomsbury style and the result of a unique collaboration between Vanessa Bell’s late son Quentin Bell and his daughter Virginia Nicholson, this book offers a highly personal account of the evolution of one of the most amazing homes in England… Virginia Nicholson has completed her father’s work in a way that links Charleston’s interiors with some of the leading cultural figures of the twentieth century”. “This book, which Quentin Bell left unfinished, has been completed by his daughter, a ‘patchwork’ as she says of his reminiscences, her own observations and a trawl through his papers… The book interweaves the story of the house with that of its inhabitants; for Bloomsbury devotees, an elegant if elegiac coda to a favourite theme”. “…Now comes this marvellous book, and a poignant one, because the text consists partly of delightful comment and reminiscences by the late Quentin Bell (Vanessa’s son) and partly of equally delightful (but less quirky) comment by his daughter, Virginia Nicholson”.